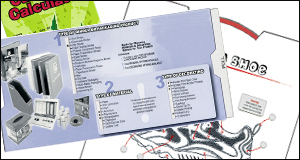 View examples of custom slide guides and wheel guides designed for promotional applications. 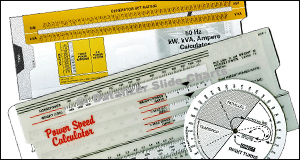 View examples of custom designed Slide Chart, Data Wheel and Slide Rule Calculator reference tools. Custom technical slide rule style calculators designed to simplify mathematical calculations and provide instant, accurate answers. 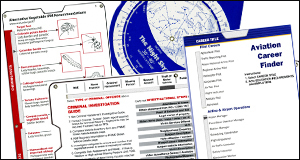 Take a look at some of the custom communication tools we've produced for training and educational applications. Your target audience is overrun with more and more information, and they have less and less time to absorb it. Datalizer converts information into interactive, infographic products that bridge the time/data gap. 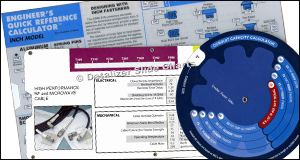 We design and manufacture custom communications tools - Slide Charts and Data Wheel Charts. Customers send to us the information they want to see on their Slide Chart. We analyze the data, organize it, and design an easy-to-use reference tool. For over 60 years, we've been perfecting Slide Chart Sales Aids, Reference Tools and Promotional Devices. From idea to finished product, we use our expertise, special techniques and precise equipment to guarantee a successful outcome. Our American made Slide Charts are manufactured in our specialized plant located in Addison, Illinois. You can count on us to give your custom data visualization tool professional attention from start to finish.